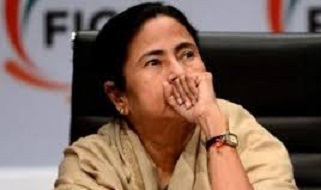 The outburst of garrulous, emotional Chief Minister of West Bengal on the much-awaited, publication of final NRC draft of Assam once again highlights her unsophisticated, inarticulate nature besides exposing her lack of knowledge and grasp on the burning issue that has far-flung impact on the nation as a whole. The West Bengal CM is not aware of the historical, demographic and socio-economic need of NRC for state of Assam and the role and directive of the Supreme Court in the whole exercise that has led to its draft publication. The West Bengal CM may well remain within her own state. She should know that Assam has its own Chief Minister and other responsible organizations and functionaries to safeguard national interest. Interference from a Chief Minister of an under developed state with a crippling economy, decadent culture, degrading education and abysmal poverty in the rapidly progressing state of Assam, is redundant and unwarranted. The West Bengal CM should also know the difference between draft and final publication of NRC. Let us remind her that Assam stands above Bengal today in all human indexes. Assam’s female literacy rate is higher than that of Bengal. In Jorhat district male literacy rate is recorded to be 80.24 % as per 2011 census. Similarly, GDP or GRDP of Assam is higher. The entire nation had a hearty laugh watching her running away having been confronted with unpleasant questions in an interactive TV show in Kolkata, hosted by CNN-IBN. She may keep in mind the golden advice, ‘emotion without rationality’, can dangerous. There is no need for her to meddle in Assam matters and not to indulge in nasty communal politics.